How to install BIOS in Windows? a. 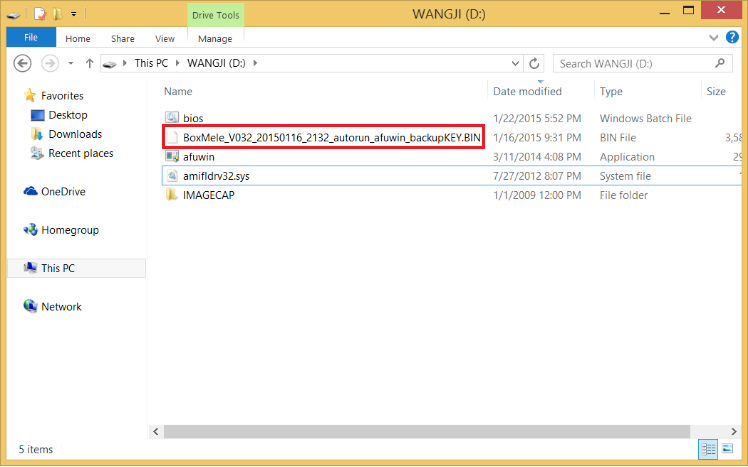 Prepare the BIOS files in root path of your USB flash disk. Don’t rename any files. b. 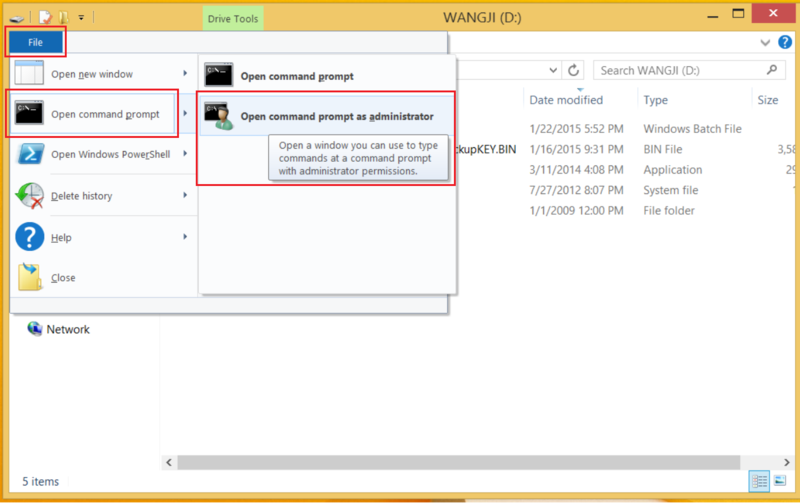 Open your USB, Click File --> Open Command Prompt --> Open command prompt as administrator. c. Type bios and Press Enter to start installing. d. MiniPC will restart after the install process finished. Gentle Warning: We strongly suggest not to re-install BIOS if your Mini PC is pre-installed with activated Windows. 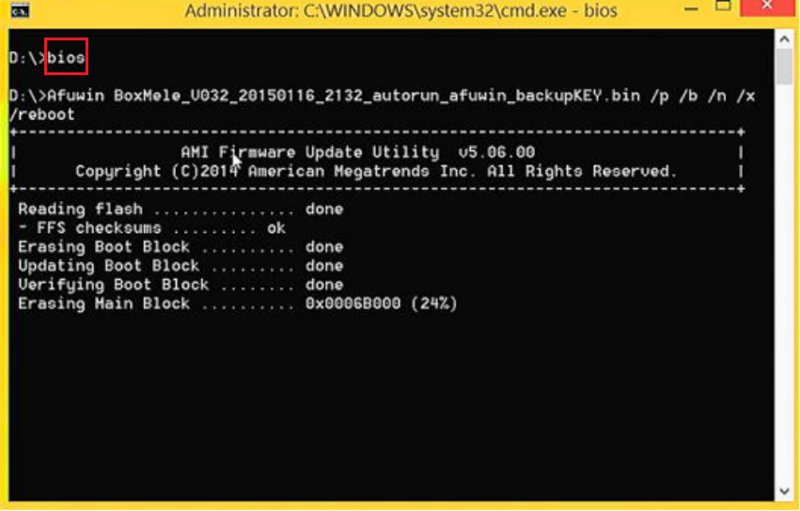 Installed a wrong BIOS or the Power is cut off during BIOS installation will erase your windows KEY or damage the hardware, which is not covered in RMA warranty scope. : How to watch movie on Netflix through browser?